Litt announced this change of secrecy policy at the Collaboration on Government Secrecy Freedom of Information Day at American University Washington College of Law. Litt, who spoke from prepared remarks, lambasted Edward Snowden for his disclosures. He also did not appear to give credence to the argument that using the Foreign Intelligence Surveillance Court to secretly create a domestic telephone metadata dragnet program was bad or illegal policy. He did acknowledge, however, that the culture of secrecy cultivated at the NSA and other intelligence agencies could be potentially harmful to the Intelligence Community’s interests. Update: Here’s the text of his speech. And here’s Steve Aftergood’s take. Litt’s pledge to continue to declassify technically “properly classified” documents if the harm to national security is outweighed by the public interest is more than just rhetorical window-dressing. If implemented, it would be a serious and beneficial declassification policy change. Currently, if a document is “properly classified” according to a classification guide, declassifiers usually choose to leave it classified –no matter how improper continued classification may be in reality. This applies even to truly “stupid secrets,” such as the Department of Defense’s recent decision to censor the fact that the US removed its nukes from Turkey after the conclusion of the Cuban Missile Crisis. General Counsel Litt may have wisely realized that this “stupid secrecy” harms the entire US classification regime. If agencies demonstrate that they have so little trust and respect for Americans that they believe the public cannot know how the Cuban Missile Crisis ended, why would Americans trust these same agencies to be the classification gatekeepers of the surveillance establishment? Who needs 20th Century US History 101? At the symposium, I applauded Litt for this game-changing step and asked him to confirm that the Intelligence Community would indeed use this “harm versus public interest” test to discretionarily declassify historic documents which were officially “properly classified,” but were irrationally classified in reality. Litt replied in the affirmative and cited the authority granted in Executive Order 13526. 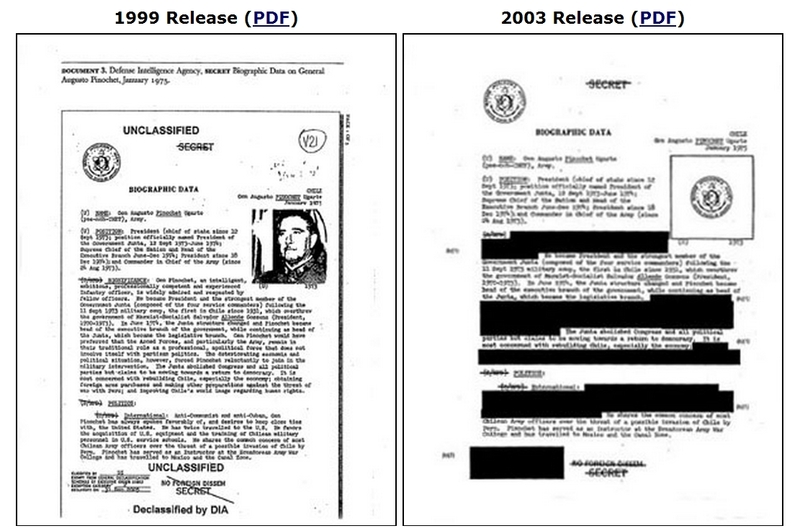 The 3.1 (d) provision to declassify “properly classified secrets” is rarely used. 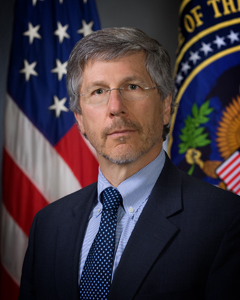 But if General Counsel Litt is serious about embracing the provision to declassify secrets which are officially “properly classified” but in reality no longer must be hidden (See Steve Aftergood for excellent writing on the problems with classification guides and practice), this could be a gigantic step toward fixing the classification system. Declassification advocates all too painfully know that if Litt’s proposed standard –rather than a declassification as usual mindset— was embraced by the National Declassification Center, it may not have denied an eye-boggling-high 39 percent of the decades-old historic documents which it reviewed. Litt also revealed another declassification game-changer during his remarks. He stated that declassifiers will now take into account information in the public domain as they decide if information must truly remain classified. 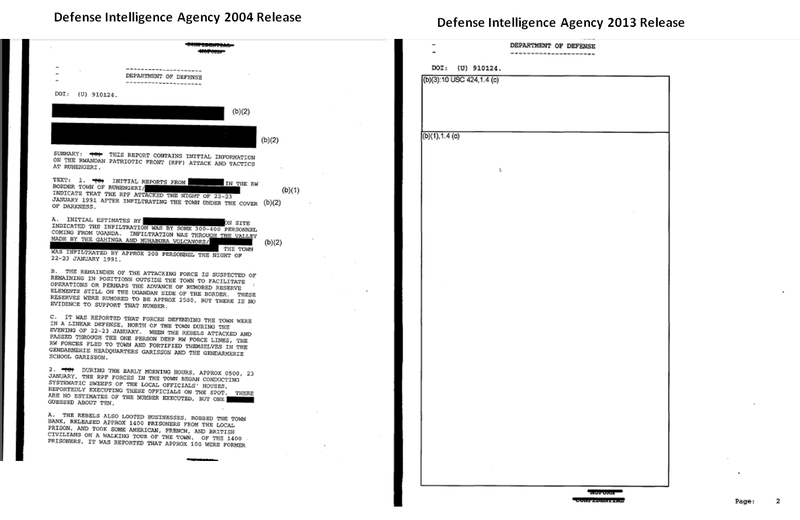 Until now, most declassifiers have rejected considering information in the public domain as they make declassification decisions, relying entirely on their often woefully inadequate classification guides. Litt’s instruction to embrace the facts of the real world when making classification and declassification decision is another welcome Sunshine Week pledge. Unfortunately, General Counsel Litt had left the symposium by this point and was not able to respond to these assertions. Hopefully Litt was earnest in this pledge to begin asking: “not can we classify –but should we?” If this ethos is embraced, it could be the most critical policy fix to date of the overburdened and undemocratic classification regime in America. Haven’t thought about this a lot, but it suggests to me that there should be a classification rule that is sensitive to what “the enemy” already knows or could easily ascertain. If it is known that “the enemy” already knows the information or could easily learn it, no sound argument comes to mind why the public should be deprived of that information. In such circumstances, the reasons for censorship seem necessarily to be political rather than protective of national security.